Engineering and farm equipment major Escorts expects growth momentum of tractor sales to continue in the coming three quarters. However, prospects for the next fiscal will clear only after the general elections, according to a senior company official. The company, which posted 20.2 per cent growth in tractor volumes at 45,533 units in the first of 2018-19, said at present most of the factors that are driving tractor demand in rural market are positive. 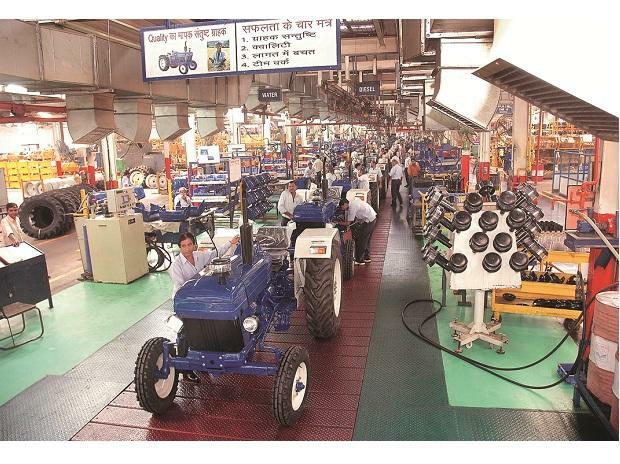 "Most of the factors which are driving tractor demand in rural market are positive...There is nothing negative as of now on the rural demand side and we think the sentiment will remain positive at least till first quarter of next (fiscal) year," Escorts Group CFO Bharat Madan told PTI. He further said the good yield of the last Kharif crop as well as the outgoing Rabi season "looks pretty good". "The MSPs (minimum support prices) are much better than last year, although they may not be in the same range as the government is projecting...Still the overall numbers are positive and they are better than last year," Madan added. When asked about outlook of tractor sales for the ongoing fiscal, he said: "It is almost about 20 per cent growth that we are looking in tractors for the domestic market." Last year the company's total tractor sales were about 80,000 units out of which 78,000 were in domestic and 2,000 in exports, he added. "This year we are looking at closer to 98,000 units. Export for us is very small, so for this year we are looking at 3,000-odd units and balance will be all domestic," Madan said. On the outlook for the next fiscal, he said it would clear only after the general elections and how monsoon pan out next year. "It is difficult to say how the next year will look like. The momentum will continue for the next three quarters...After first quarter (next fiscal), how things like the elections, and depending on that the government policy related to agriculture sector, pan out along with monsoon (will be key)," he said. In the second quarter this fiscal, Escorts' tractor sales were up 3.3 per cent at 21,039 units. "It was flat due to base index due to last year's GST implementation and the festive season which got delayed compared to last year. Otherwise, sentiment on the ground is positive," Madan added. For the third quarter, he said: "We are expecting good growth numbers. Fourth quarter may be slightly muted for tractors but overall, we are expecting double digit growth for tractors.